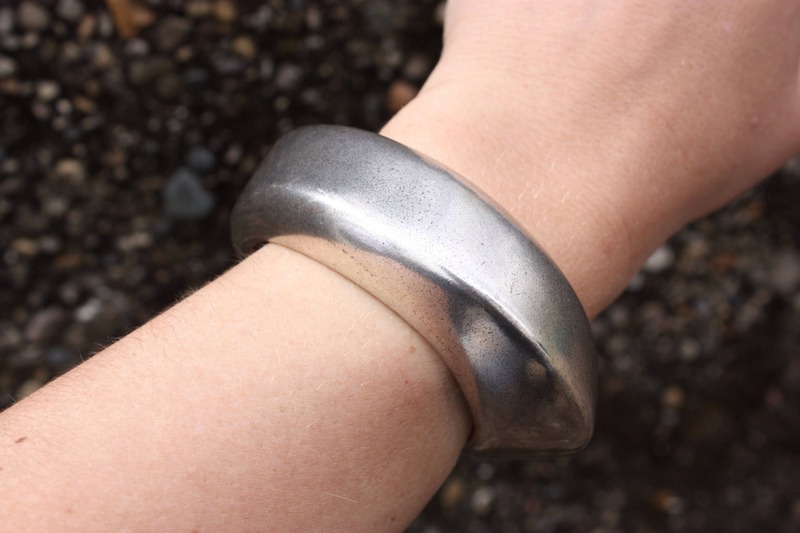 Statement Silver Cuff. 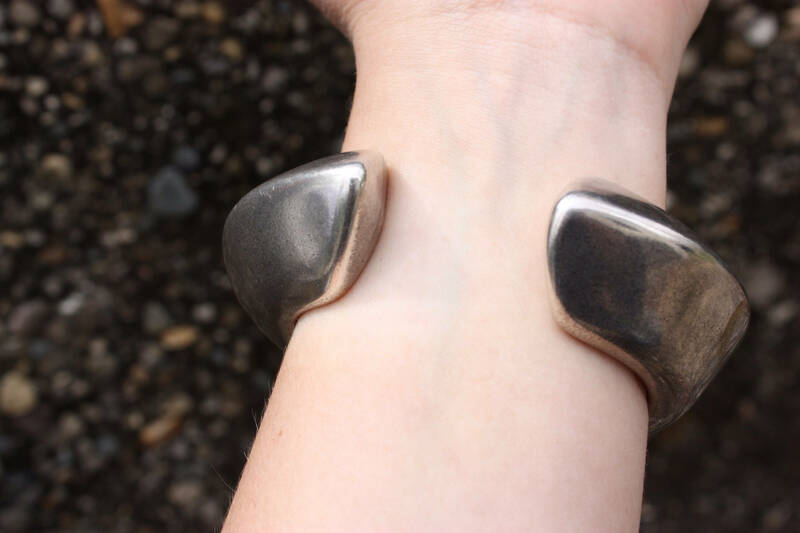 Silver Painted Bracelet with Sleek, Bold Design. 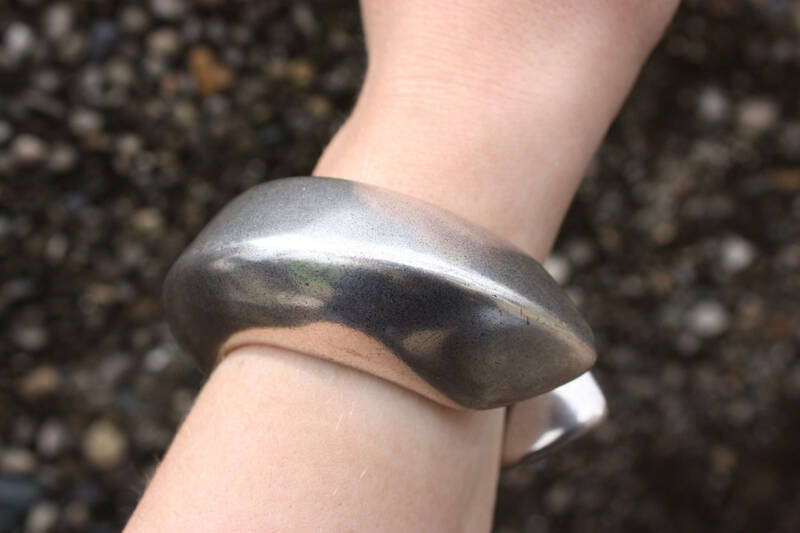 Beautiful chunky silver cuff that is sleek addition to any outfit. Great visual line in the 3D construction. Not sure of the material of shock it's made...seems to be a silver painted exterior on wood or lucite. 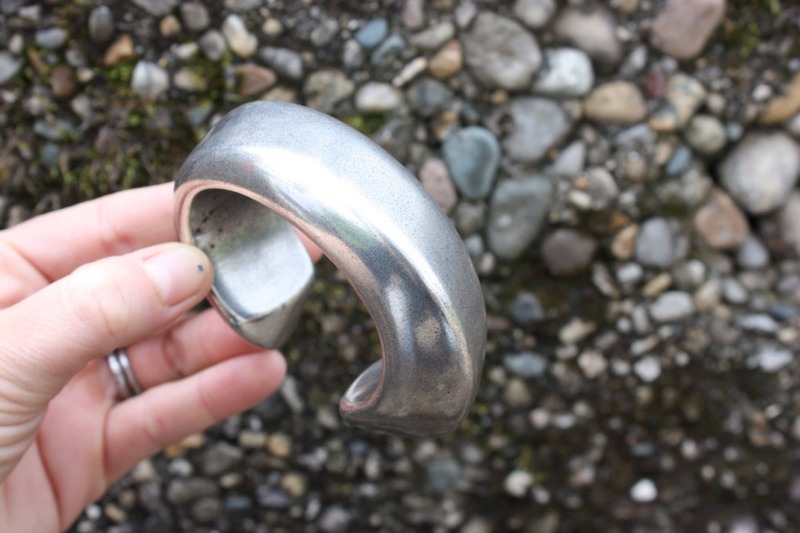 Bracelet is very smooth and lightweight for its size. Size: Will fit Most. Women's S/M will most likely be best fitted.